The Royal Mauian is one of the South Kihei’s crown jewels. It sits directly on Kamaole Beach Park I — one of Maui’s finest golden sand beaches. The property’s breathtaking 180 degree Pacific Ocean and island views are hard to beat, especially from its prized rooftop garden. It’s a special place to take in the true serenity of the Hawaiian Islands. 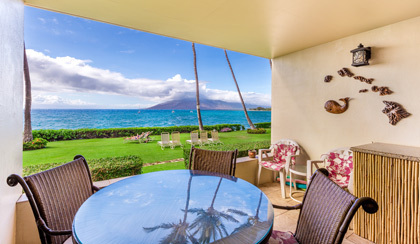 The Royal Mauian complex is located in the middle of South Kihei town! Only steps away from shops, restaurants and grocery stores, and in a minute you are on the highway to discover the Island!